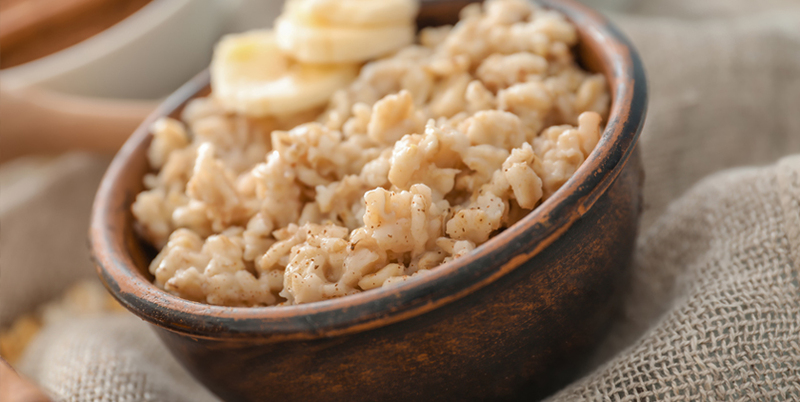 In the world of fitness and bodybuilding, oatmeal is a staple that can become as bland and tired as egg whites and plain brown rice. To turn regular old oats into a delicious dish that you will look forward to eating, look to the Instagram account of Christina Sullivan. Christina’s latest pre-workout creation is both sweet and savory with almond butter, bananas, sweet potato and, of course, Best Protein™. It turns the doldrums of daily oatmeal into a celebration of flavor. If you thought eating healthy couldn’t be any blander, you need to try this recipe right away. It will not only change your morning routine, it could also be your inspiration to start eating healthier. Cook oatmeal. Stir in Walden Farms Syrup and protein powder. Cook sweet potato. Stab all over with a fork and put in a 450°F oven for 30 minutes. Flip potato and cook for another 30 minutes. Mix sweet potato with 1 drop of Walden Farms Syrup, 1 drop of liquid stevia & dash of cinnamon. Layer sweet potatoes on oatmeal then top with banana. Add a dollop of almond or peanut butter. Sprinkle with cinnamon and a swirl of Walden Farms Syrup!